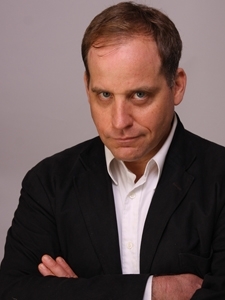 As a reminder, we are currently in the 2nd week of a four week subscription drive to restore the income that Benjamin Fulford depends upon for his work and his livelihood. All previous PayPal subscribers are urged to support Benjamin by re-subscribing at their earliest convenience. New subscribers are also most welcome to sign up and join the Internet’s premiere deep geo-political news and discussion website. The precise steps to (re)subscribe are listed below. Please share the link to this article on social media. Your support is greatly appreciated. A popup box will appear where you can enter your credit card details and click the green button to pay. Visa, MasterCard, and American Express are accepted. Please note that you may need to complete the “I’m not a robot” procedure one more time, or perform other verification, for confirmation and fraud prevention. US President Donald Trump is scheduled to go to Asia in November, officially to attend an APEC meeting but in reality to go on a begathon, multiple sources agree. The begathon is aimed at getting money to keep the bankrupt US corporate government going beyond the December extension it was given by its mostly Asian creditors. The US corporate government was given enough money to continue operation for 3 months after its September 30th fiscal year end payments deadline because “they threatened to destroy the planet,” Asian secret society sources confirmed during a meeting last week with representatives of the White Dragon Society. In other words, they confirmed the entire recent North Korean brouhaha is nothing but a major extortion campaign. The WDS, for its part, recommended that the Asians give the US corporate government a choice for beyond December: “either accept the next payments through Canada in exchange for Canadian led reform of your political and economic system or else we will call your bluff on all out nuclear war.” It is a pretty safe bet what the Americans would do if forced to choose between nuclear holocaust and Canadians. In such a scenario the US military chain of command would remain intact and possibly even take over the Canadian armed forces as well. In exchange, the Canadians would have control over politics and the economy during a clean-up of the sewer that Washington DC has become. Such a move is likely to have public support. American support of the politicians in DC is below 10% even while support for the US armed forces is consistently around 70%. By contrast, over 60% of Canadians support their government because unlike the bribed, blackmailed DC swamp, it actually works for the people. In any case, the signs of imminent US bankruptcy and collapse are proliferating day by day so, the ability of the US corporate government to keep kicking the can down the road is ending anyway and some hard choices will have to be made. In California, for example, Calpers, the largest public pension fund in the US, and one of the best managed, is being forced to cut pension pay outs by as much as 90%. Meanwhile, the State of Pennsylvania is joining Illinois, Puerto Rico, Detroit and others in being unable to pay its bills. These events reflect the fact the petro-dollar system that has allowed the US corporate government to live beyond its means for the past 40 years is collapsing. As has been widely noted, China has announced it will be buying oil used gold backed yuan, dealing a deathblow to the petrodollar. Now Venezuela, one of the biggest sources of US oil imports, says it will no longer accept payment for oil in US dollars. Another sign of desperation was “the US going after Indonesia for a huge 40% import (penalty) tax on the palm oil… A bankrupt Nation scrambling for dollars in any way they can to keep afloat. Just remember who came here at the onset and convinced the Indonesia government, with huge under the table payments, to cut down the jungles in the first place,” WDS sources in Indonesia point out. Multiple pundits and experts sounded the alarm at these comments because it is clear the US would lose any economic war with China and that trying to cut China off from the dollar system would destroy the dollar, not China. That is because the United States is the most indebted country in the history of the planet and a cut off of finance would lead to a drastic drop in US living standards and isolation of the US from the world economy. The Chinese, who prefer harmony to nasty fights, have been giving lip service to US calls to “sanction North Korea,” so as to avoid giving the Americans a pretext to take rash actions. However, senior North Korean agents based in Japan say the sanctions are in name only and that the supply of goods from China and oil from Russia continues to pour into North Korea unabated. The Khazarian mafia, for its part, is pushing hard for the US corporate government to accept the Paris accords as a precondition for further financing. This move is being spearheaded by top Khazarians in the Trump regime like economic adviser Gary Cohn and Trump son in law Jared Kushner. The problem with the Paris accords, other than the fact they are based on pseudo-science by bribed scientists, is that they keep the Khazarian mob in charge of the world financial system. The Paris accords do give the Chinese a bigger seat at the table but they humiliate India and Japan and keep overall Khazarian control intact. At this point we need to take a close look at the connection between the Vatican, the P2 Freemason lodge and the Khazarian mafia to understand what is really going on in this planet. David Rockefeller and members of the British Royal Family as well as members of the Rothschild family all point to the P2 lodge -the would be creators of a fascist world Roman dictatorship- as both the real controllers of the US dollar system and the source of most of the world’s terrorism. Top Khazarian mob leaders like Israeli Prime Minister Benyamin Netanyahu work for them, these sources say. In Japan this writer has systematically documented how the P2 lodge, then headed by top Jesuit Peter Hans Kolvenbach, was behind the March 11th, 2011 nuclear and tsunami mass murder terror attack against Japan. Now Asian secret society and top Japanese gangsters sources both confirm that, since the Fukushima terror incident, truckloads of Japanese 10,000 yen bills (the equivalent of US $100 bills) have been shipped up to Fukushima. There the money is recycled to politicians and gangsters even as the public excuse being put out is that it is all being spent “cleaning up Fukushima radiation.” In other words Fukushima is being used as an excuse to launder radioactive money not radioactivity. Former Japanese Finance Minister Heizo Takenaka is still one of the top Khazarian sub-contractors distributing this Fukushima terror money, Japanese gangster sources confirm. Pentagon sources say “the war against the cabal in Japan will escalate after the removal of Pacific Commander Admiral Harry Harris,” due this year end. In the meantime though, Japanese security police sources say that Khazarian slave Prime Minister Shinzo Abe is being informed in advance of “North Korean missile launches,” and is given a script to read in response. This charade is being carried out not only to extort money with the threat of nuclear war but also to create a plausible excuse to ramp up the widely despised Abe’s fake opinion poll support, the sources say. If Pope Francis really is sincere about reforming the Vatican and the P2, he needs to come clean about Fukushima and reveal the documented involvement of Kolvenbach and his henchman Netanyahu. Netanyahu’s “unprecedented trip [last week] to Colombia, Argentina and Mexico will do little to stop the war on Mossad and the war on drugs by the Southern Command, which was, and perhaps is still led, by General John Kelly who now runs the White House,” Pentagon sources point out. Netanyahu’s trip prompted US Defense Secretary James Mathis and Northern Command’s General Lori Robinson “to visit Mexican military leaders in Mexico city September 15 after bibi [Netanyahu] left, to take down Mexican drug cartels,” the Pentagon sources say. The Mexican 8.1 quake may have been a cabal attempt to force Mexico to stop aid to [Hurricane] Harvey victims, the sources add. Netanyahu may have also been seeking a place for political asylum because he knows the real Jews in Israel are waking up to the fact he is a Satan worshipping pseudo-Jew and are preparing to put him in jail where he belongs. The Israelis are being forced to deal with their Satanic leadership because their Daesh mercenary army is being thoroughly defeated by a de facto alliance between the US military, Iran, Russia and Turkey. Even the Mossad linked Debka site acknowledges this reality by reporting a US/Russian pincer attack against Daesh. The tectonic shift in the old power balance in the Middle East was underlined when Turkey, which has the second largest NATO army, announced last week it was buying Russian S400 anti-aircraft missiles. Taken together with the purge last week of 16 top Saudi officials, this may well mean Saudi Arabia’s new King Salman is cutting off his nation’s secret alliance with Israel in order to maintain the US military support his regime needs to survive. This means Israel too must purge its Satanic leadership if it is to survive. The tectonic plate shifts in the world’s power structure now taking place are so huge that humanity may be liberated this autumn.